From 25-28 June 2018, the 19th International Symposium on Laser Precision Microfabrication, LPM 2018, comes to Edinburgh – the first time it will have been held in the UK. The symposium will take place in the Edinburgh Conference Centre on the campus of Heriot Watt University, on the west side of the city. LPM 2018 continues the tradition of attracting an audience of international researchers and industry experts in the field of laser microfabrication. With over 250 delegates expected from more than 20 countries, there will be three plenary talks, 135 oral presentations and more than 50 posters. Europe is well-represented with over half of the total speakers coming from 10 European countries. Alongside the symposium, there will be an exhibition during the middle two days where 30 organisations will be available to discuss their products and services with delegates, networking over a buffet lunch. 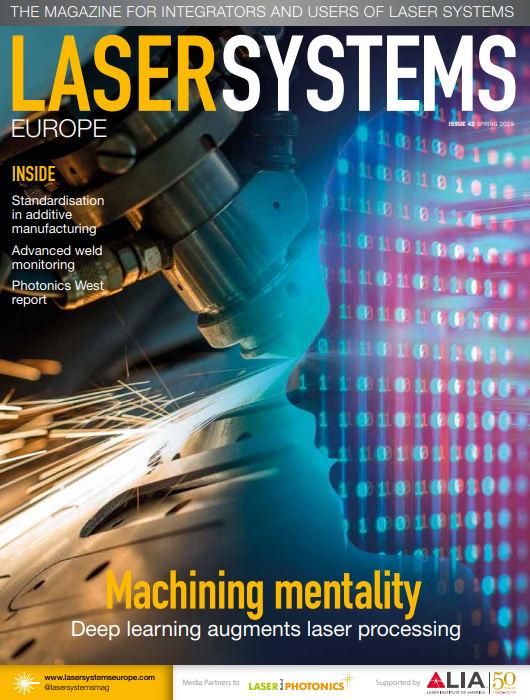 Microfabrication with lasers is a growing area for research, driven by the latest developments in laser sources where cost and reliability have improved dramatically over the past decade. The rise of the affordable ultrashort pulse laser with high power and high frequency pulses with durations shorter than 10 picoseconds, has led to a large increase in the number of universities researching picosecond and femtosecond laser processing. Fibre laser sources are compact and reliable, and there are options for different wavelengths to allow different absorption characteristics in a range of transparent glasses and polymers, as well as more traditional metals. Surface patterning: Laser treatment of surfaces using ultrashort pulse lasers can create nanoscale ripples that modify the wettability of the material surface. This produces either hydrophobic behaviour, where the droplets are expelled, or hydrophilic behaviour, where the droplet efficiently wets the surface. Direct laser writing: Advanced techniques for printing 2D layouts and fabricating 3D structures can create precision 3D-printed objects or can manufacture waveguide gratings within crystals. The Laser Induced Forward Transfer (LIFT) process can be used, for example, to print miniature-scale conductive paths, creating micro-electrodes. Glass and sapphire cutting: Brittle materials like glass and sapphire can be cut (and even welded) using ultrashort pulse lasers. The use of these materials for displays and windows on portable consumer electronics is driving research into laser processing glass and sapphire, chosen for their combination of toughness and transparency. The symposium banquet takes place in the Grand Gallery at the National Museum of Scotland, Edinburgh, on 27 June. The gallery is inspired by Crystal Palace in London and was completed in 1888. It includes some permanent exhibits highlighting the history of scientific and engineering innovation from Scotland since the industrial revolution. A sumptuous three-course meal with entertainment and Scottish music will provide a unique experience for networking and socialising, and will be the highlight of the week for delegates. LPM provides an excellent environment for networking, where industrial experts and academics can mingle and share ideas and experiences over fine food and drink.